We first found this little gem last year when we hired a nearby Villa on a family holiday, and it was fantastic. 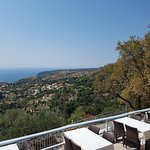 I revisited Kelari Taverna with my girlfriend in mid September 2018, and its still fantastic. Spiros, the waiter is so polite, friendly and helpful, and will go out of his way to make sure you have a great experience. I think George is the owner, and Mathew is his son, again very polite and friendly. 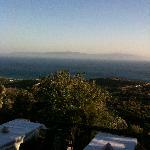 The Taverna is well off the beaten track, but a must go place for great food, and the views are spectacular. They tend to shut on the last day of September. The Islands best starter is on the menu here.... Try the FETA CHEESE PIE WITH SESAME SEEDS AND HONEY. 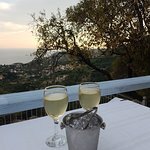 We were staying in a villa just up the hill from this taverna. It’s well off the beaten track so you wouldn’t know it was there. Excellent food. We visited several times during our weeks holiday. The view from here is amazing. The waiters are lovely, excellent service. Mathew was a lovely lad. We tried mostly the Kefalonia dishes which were all delicious. Well worth a visit if you are in the area . 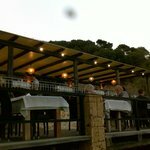 During our week stay in Skala we visited this restaurant three times. The food, the view and the staff are all fabulous. The staff are attentive, welcoming and friendly. The food was lovely and we tried a number of dishes. There was plenty for the vegetarian in our group to choose from so all were happy. The house wine was really good. The highlight has to be the view. 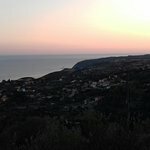 High in the hills we were just sitting looking at Skala below and the sea shimmering in the evening light. Would definitely recommend. 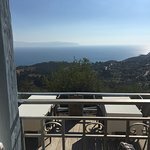 It’s worth the slightly nerve racking experience of narrow Greek roads! Always a warm welcome from the friendly attentive waiters. Our visit was late afternoon on a very pleasant temperate day. 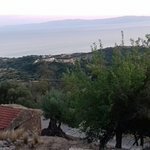 Beautiful panoramic views of the ocean and Zakynthos beyond. A large cold beer to start followed by meze of bread served with olives and garlic butter type dip. Fresh fried onion rings, fried courgette in the lightest of batter, feta baked with a wafer thin filo with honey and sesame seeds and last but not least proper fresh homemade chips. Lunch was simply superb and plentiful. I would highly recommend a visit to this gem of a restaurant. Absolutely fantastic lunch here. 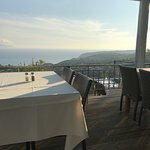 Superb view, great at menu choices with fantastic service. Definitely recommend the trip to get here, it's worth it! 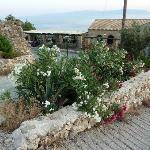 Been to Kelari Taverna? Share your experiences!